As one of San Diego's most storied neighborhoods, Victorian-style architecture dating back to the 1860s can be on practically every street. Today the district bustles with a vibrant nightlife and entertainment scene, as the best restaurants and hottest clubs have made the Gaslamp Quarter their home. The San Diego Convention Center is the top choice for big events throughout the year, hosting conferences, trade shows and more. Pick the best hotel near the Gaslamp Quarter, and experience the city's excitement to the fullest. Hungry visitors in the Gaslamp Quarter are in for a treat, with a range of global cuisines to choose from. From happening pubs with classic American fare to Spanish outposts serving a full menu of main courses and tapas, you’ll find something to please your palate. The nightlife might be even more impressive than the dining scene, with dozens of happy hours, taverns, dance clubs, and fun spots to choose from. The Convention Center is within walking distance of many of the city’s best things to do. There are also several public transportation options, including trolleys and buses to help you explore it all. What is this historic district known for? 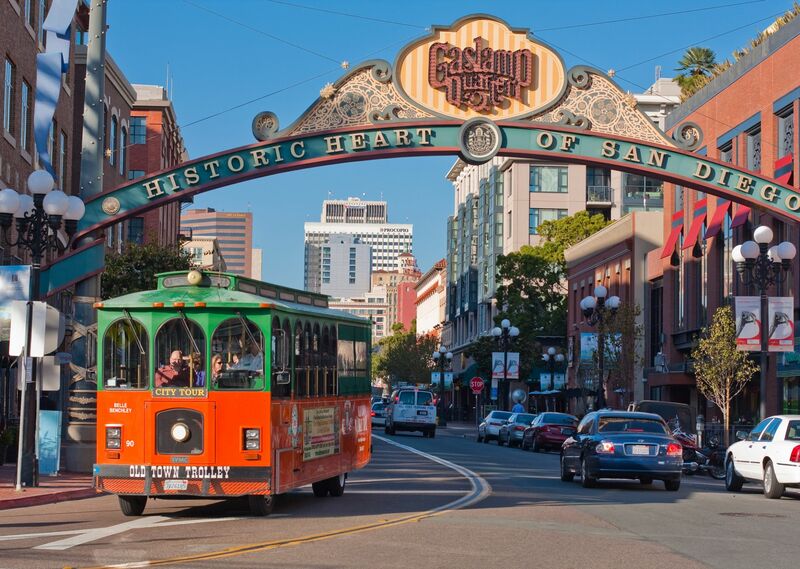 From strolling beautiful blocks filled with stunning 1800’s architecture to sitting down to a gourmet meal, the Gaslamp Quarter is the place to be. When the sun goes down, the action heats up as nightclubs, music venues, and dance halls light up the neighborhood. Night owls from all over the San Diego area congregate here for a fun night on the town. What attractions are near the Convention Center? Just a few blocks away is Petco Park where the San Diego Padres call home. Seaport Village for dining, shopping, and live entertainment is a short stroll away along with the USS Midway Museum with a focus on naval history.